Do you know where your patients are? 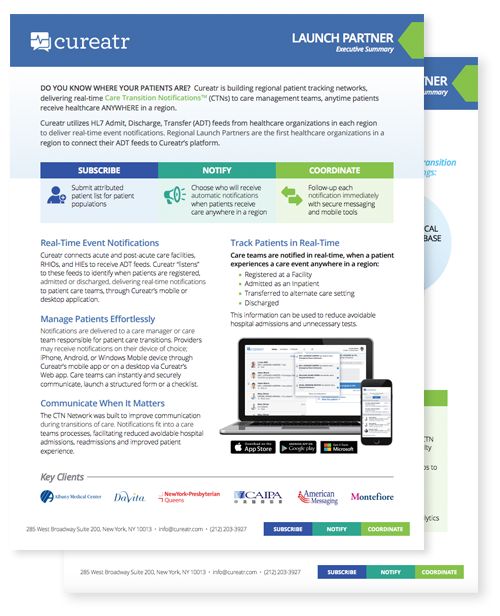 Cureatr is building regional patient tracking networks, delivering real-time Care Transition Notifications (CTNs) to care management teams, anytime patients receive healthcare ANYWHERE in a region. Complete the form to learn more and see how Cureatr can help transform how your healthcare system communicates and coordinates care.